Even before the successful launch of their mini-zoo onboard the Bion-M satellite in 2013, Russian space biologists had already started thinking about a possible next step in life-science experiments in space. Although Bions provided a unique platform for exposing biological organisms to weightlessness and vacuum of space, the spacecraft's orbit kept it well within the Earth's protective magnetic field shielding the planet from solar and galactic radiation. To see the combined effect of weightlessness and natural radiation on live organisms, a research spacecraft would have to travel into deep space, expose its specimens and bring them back for analysis. To achieve this goal, Russian scientists proposed a next-generation spacecraft dubbed Vozvrat-MKA, where Vozvrat means "return" and MKA stands for Maly Kosmichesky Apparat or "small spacecraft." By dramatically reducing the size of the future vehicle comparing to a nearly six-ton Bion, developers could send it much farther into space. At the same time, the spacecraft could still orbit Earth on a long ellipse, whose highest point (apogee) would extend far beyond the planet's magnetic field and the radiation belts. At the end of the mission, a braking engine would be used to send the capsule with experiments back to Earth. In August 2009, Roskosmos announced its plans to launch Vozvrat-MKA after 2015. The formal agency's tender for the development of the project was promised in 2011. By that year, three Vozvrat-MKA capsules were expected to fly missions lasting up to a year in 2016, 2018 and 2020. The first mission could enter a circular orbit as high as 500 or 1,500 kilometers above the Earth surface, taking it into a radiation belt of the Earth, where radiation levels will be from 10 to 15 times higher than those in the low Earth orbit. The follow-on capsules could orbit the Earth in a 1,000 by 200,000-kilometer elliptical orbit, exposing their payloads to galactic radiation. Only 350 kilograms of instruments, including 150 kilograms of experiments in its retrievable capsule were allocated by the technical assignment for the Vozvrat-MKA. Such a low payload mass put severe restrictions on the developers of scientific experiments at the Institute of Medical and Biological Problems of Space flight, IMBP, its leading specialist Vladislav Petrov told ITAR-TASS news agency in July 2013. At the end of 2011, the Space Council of the Russian Academy of Sciences, RAN, conducted a review of the Bion-M program and follow-on scientific projects. 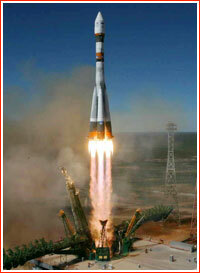 The Space Council endorsed the Vozvrat-MKA project and directed the IMBP, in Moscow to develop requirements for biological and technical specifications of the spacecraft by July 2012. 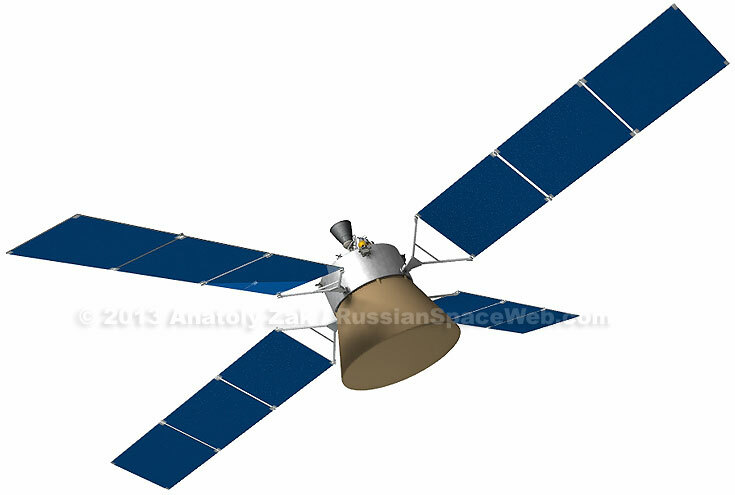 According to TsSKB Progress in Samara, which developed the Bion series of satellites, the company's Department No. 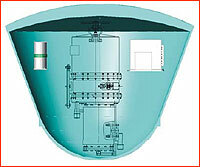 1103 and supporting divisions were conducting preliminary review (known in Russia as NIR) of the possible architecture of the Vozvrat-MKA capsule and its scientific payloads. However the project apparently hit a major snag in 2012, when it was reportedly left out of the latest revision of the Russian space program covering the period until 2015. If it was not a complete cancellation, the very least it could mean that the first funding for its development would not come before 2016. Still, in April 2013, on the heels of the successful launch of the Bion-M No. 1 satellite, the RIA Novosti news agency quoted the leading official at the IMBP research institute, Evgeni Il'in as saying that the Russian Academy of Sciences, RAN, did recommend to include the project into the program. With proper funding starting in 2013, the development would take 3-5 years, enabling its launch in 2017-2018, Il'in said. It was unclear whether Il'in was referring to RAN's endorsement of the project before it had been cut from the program, or to the fact that the Academy had renewed its lobbying effort to jump-start the project. During the 40th assembly of the Committee on Space Research, COSPAR, in August 2014, Lev Zeleny, the director of the Space Research Institute, IKI, promised the launch of pair of Vozvrat-MKA spacecraft in 2021 and 2025. These dates confirmed that the Vozvrat-MKA had been pushed back by four years but the project had remained on the books even if with a reduced number of missions from three to two.